ARABIAN SEA – Combined Maritime Forces (CMF) warship RSS Endeavour of the Republic of Singapore, assigned to the mission-based counter-piracy Combined Task Force (CTF) 151, disrupted two separate attacks by suspected pirates on merchant vessels transiting the Arabian Sea south of Oman, Nov.1. RSS Endeavour was conducting counter-piracy operations east of the Internationally Recommended Transit Corridor (IRTC) in the Gulf of Aden. The Merchant Shipping Industry Best Management Practices (BMP) encourages merchant vessels to register with the United Kingdom Maritime Trade Organisation (UKMTO) whilst in the high risk area for piracy. The MV BW BROKER contacted UKMTO at approximately 8:00am and stated they were being chased by a suspicious skiff with seven people on board. A ladder, which is a tool used by pirates to board vessels, was visible in the skiff and this indicated to the crew that it may be pirates. (CTF) 151 Commander, Rear Admiral Kaleem Shaukat, Pakistan Navy, authorized RSS Endeavour to take appropriate steps to respond. RSS Endeavour altered course to intercept the MV BW BROKER and established direct communication with the merchant vessel. RSS Endeavour also launched one of its embarked helicopters to rapidly provide direct support to the merchant vessel. Buoyant with confidence due to RSS Endeavour’s helicopter support, MV BW BROKER used speed , evasive manoeuvring and other BMP measures to prevent the suspected pirates from boarding and they broke off their attack. Less than two hours later, at approximately 10:00am, CTF 151 received another report from a merchant vessel under attack from suspected pirates. MV ELKA ATHINA, in close proximity to the MV BW BROKER, contacted RSS Endeavour via bridge-to-bridge radio and reported that their ship was being approached at high speed by another skiff. The skiff had five persons on board carrying weapons. Once again, a helicopter from RSS Endeavour was tasked to investigate and again the suspected pirates were deterred from boarding the merchant vessel. RSS Endeavour’s helicopter then located the suspected pirate skiff and followed it to its mothership. When the suspected pirate skiff and helicopter both reached the vicinity of the suspected pirate dhow, communication was established between the helicopter and the suspected pirates. 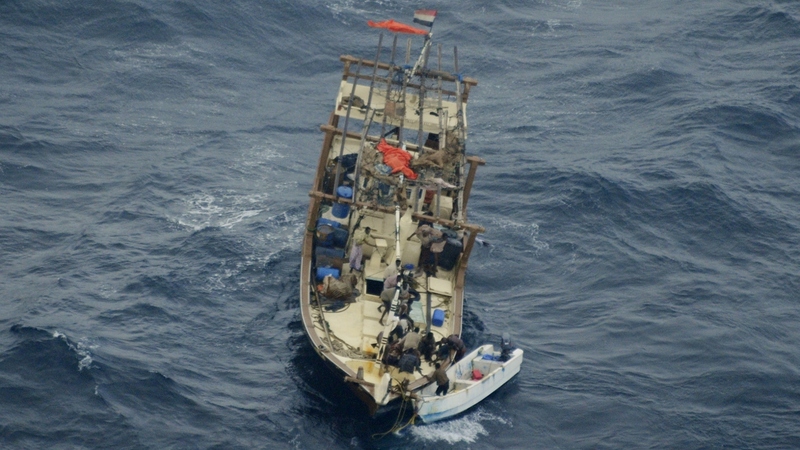 The dhow was identified as a known pirate mothership that has previously been responsible for acts of attempted piracy. RSS Endeavour’s efforts resulted in the suspected pirates abandoning their attack skiff and retreating to their mothership. 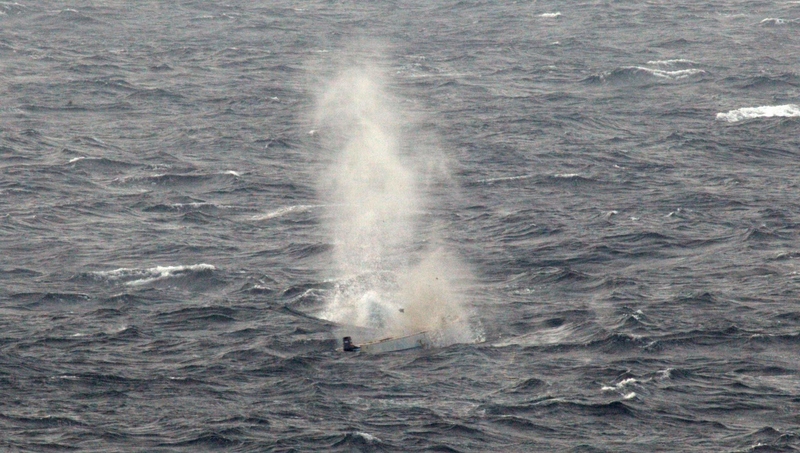 RSS Endeavour’s helicopter destroyed the attack skiff and all associated pirate equipment. CTF 151 is a mission based counter-piracy task force that operates in the Southern Red Sea, Gulf of Aden, Arabian Sea, Somali Basin, Gulf of Oman and the Indian Ocean in order to deter and disrupt piracy, protecting maritime vessels of any nationality and securing freedom of navigation for the benefit of all.